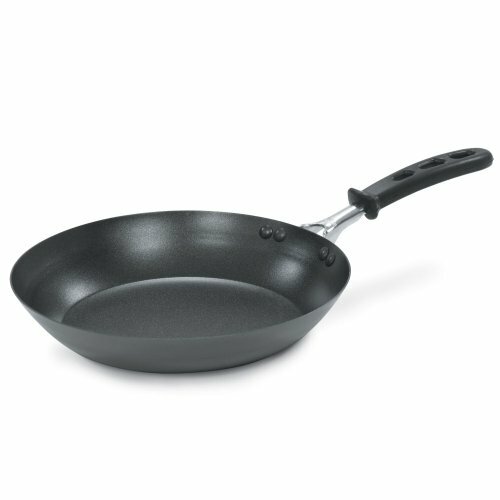 Cooking with carbon steel pans is easy with the Vollrath French style carbon steel cookware. 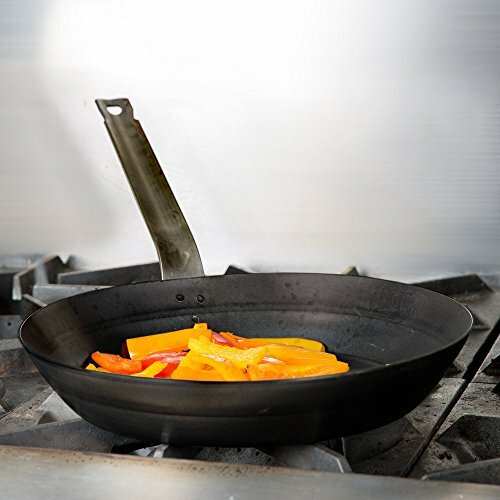 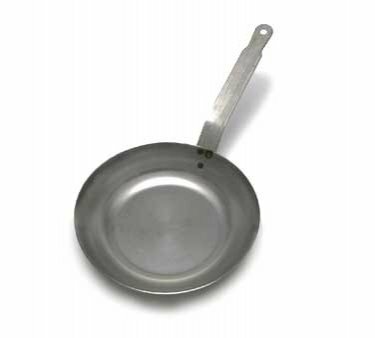 This carbon steel fry pan is perfect for frying, sauteing, searing, scrambling, and more! 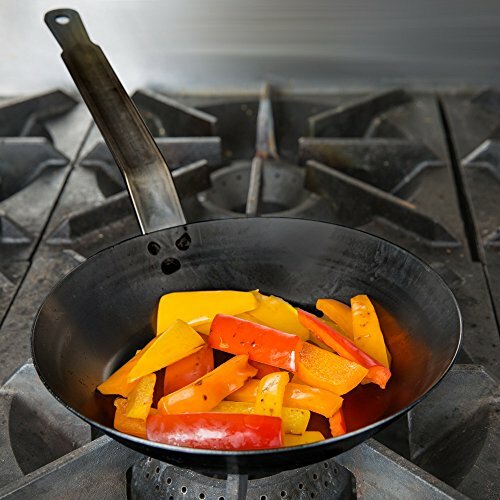 Carbon steel is an excellent conductor of heat, making it a favorite for high temperature cooking. 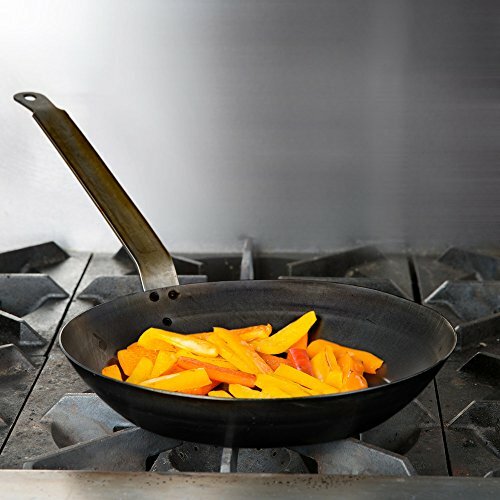 Once seasoned, this French style fry pan distributes heat evenly for a fast, uniform cook. 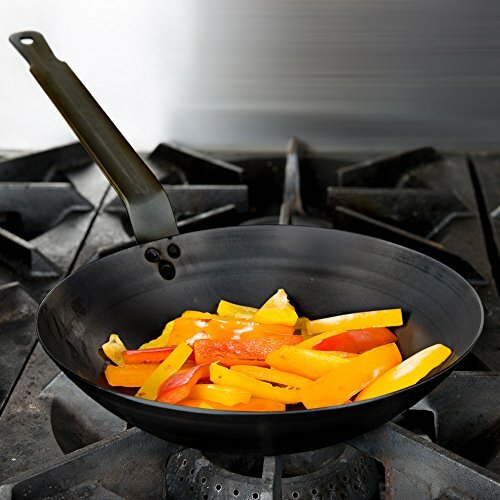 It’s ideal for any commercial kitchen! 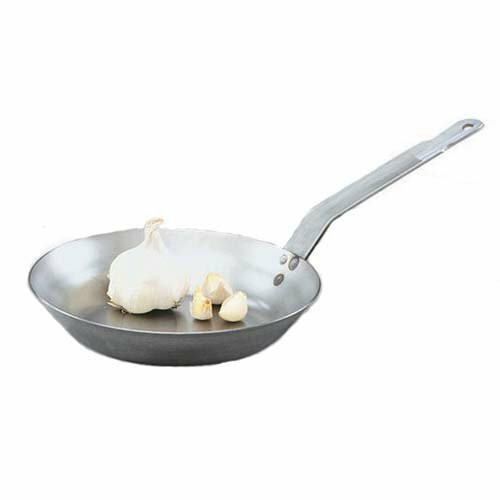 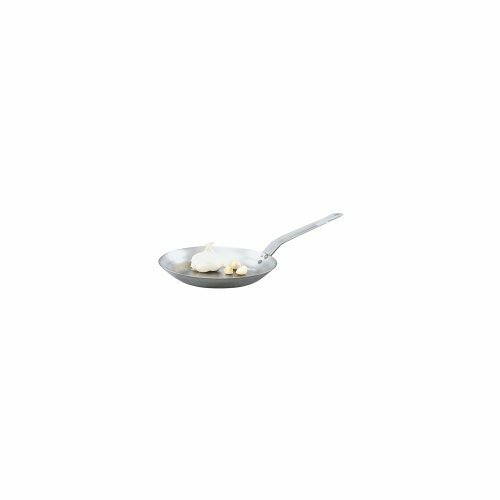 This French style pan features tall curved side walls that are designed for easy stirring and sliding food out for plating, while also helping to prevent steam from forming inside the pan. 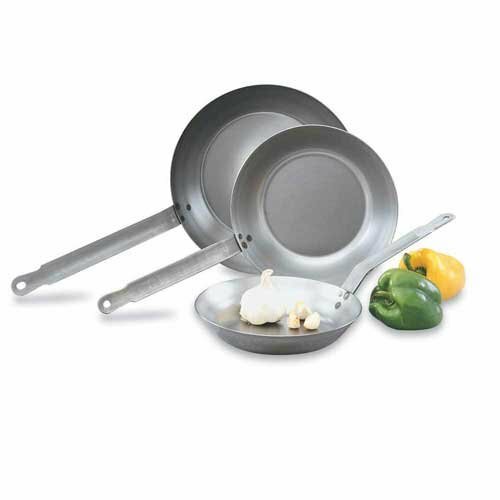 Additionally, its wide, flat bottom offers an ample cooking area to increase efficiency and output.